Speech-to-text conversion powered by machine learning and available for short-form or long-form audio. 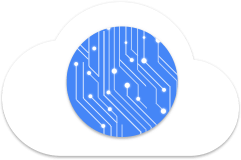 Google Cloud Speech-to-Text enables developers to convert audio to text by applying powerful neural network models in an easy-to-use API. 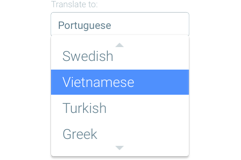 The API recognizes 120 languages and variants to support your global user base. You can enable voice command-and-control, transcribe audio from call centers, and more. 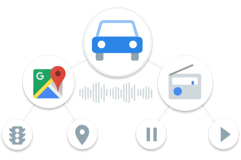 It can process real-time streaming or prerecorded audio, using Google’s machine learning technology. Apply the most advanced deep-learning neural network algorithms to audio for speech recognition with unparalleled accuracy. Cloud Speech-to-Text accuracy improves over time as Google improves the internal speech recognition technology used by Google products. Cloud Speech-to-Text can support your global user base, recognizing 120 languages and variants. You can also filter inappropriate content in text results for all languages. Cloud Speech-to-Text can stream text results, immediately returning text as it’s recognized from streaming audio or as the user is speaking. Alternatively, Cloud Speech-to-Text can return recognized text from audio stored in a file. It’s capable of analyzing short-form and long-form audio. Cloud Speech-to-Text is tailored to work well with real-life speech and can accurately transcribe proper nouns (such as, Sundar Pichai) and appropriately format language (such as, dates, phones numbers). Google supports more than 10x proper nouns compared to the number of words in the entire Oxford English Dictionary. Cloud Speech-to-Text comes with multiple pre-built speech recognition models so you can optimize for your use case (such as, voice commands). Example: Our pre-built video transcription model is ideal for indexing or subtitling video and/or multispeaker content and uses machine learning technology that is similar to YouTube captioning. Best for audio that originated from video or includes multiple speakers. Ideally the audio is recorded at a 16khz or greater sampling rate. This is a premium model that costs more than the standard rate. Speech-to-text conversion powered by machine learning. 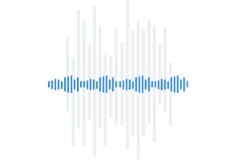 Automatic Speech Recognition (ASR) powered by deep learning neural networking to power your applications like voice search or speech transcription. Recognizes 120 languages and variants with an extensive vocabulary. Speech recognition can be customized to a specific context by providing a set of words and phrases that are likely to be spoken. This is especially useful for adding custom words and names to the vocabulary and in voice-control use cases. 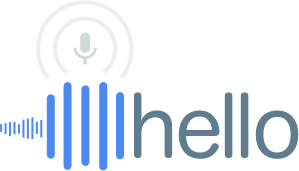 Audio input can be streamed from an application’s microphone or sent from a prerecorded audio file (inline or through Google Cloud Storage). Multiple audio encodings are supported, including FLAC, AMR, PCMU, and Linear-16. 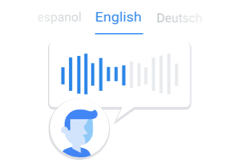 When you need to support multilingual scenarios, you can now specify two to four language codes and Cloud Speech-to-Text will identify the correct language spoken and provide the transcript. Handles noisy audio from many environments without requiring additional noise cancellation. Filter inappropriate content in text results for some languages. Accurately punctuates transcriptions (e.g., commas, question marks, and periods) with machine learning. Choose from a selection of four pre-built models: default, voice commands and search, phone calls, and video transcription. Know who said what - you can now get automatic predictions about which of the speakers in a conversation spoke each utterance. In multiparticipant recordings where each participant is recorded in a separate channel (e.g., phone call with two channels or video conference with four channels), Cloud Speech-to-Text will recognize each channel separately and then annotate the transcripts so that they follow the same order as in real life. Cloud Speech-to-Text is priced per 15 seconds of audio processed after a 60-minute free tier. For details, please see our pricing guide. This pricing is for applications on personal systems (e.g., phones, tablets, laptops, desktops). Please contact us for approval and pricing to use the Speech-to-Text API on embedded devices (e.g., cars, TVs, appliances, or speakers). ** Each request is rounded up to the nearest increment of 15 seconds. For example, if you make three separate requests (Standard model), each containing 7 seconds of audio, you are billed $0.018 USD for 45 seconds (3 × 15 seconds) of audio. 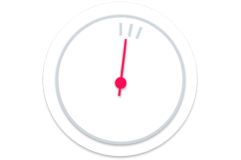 Fractions of seconds are included when rounding up to the nearest increment of 15 seconds. That is, 15.14 seconds are rounded up and billed as 30 seconds.